Air duct cleaning is a common job that HVAC technicians will be called on to handle for both residential and commercial clients. Following is an overview of why this task is important, how often it should be done and the ins and outs of doing a good job. The average home produces an estimated 40 pounds of dust per year. The dust enters the air ducts and is then blown out again through the heating or cooling system. This poses a health hazard to adults, children and pets, as dust can cause fibrosis in the lungs, humidifier fever and a host of other health issues. At the same time, it is not just dust getting into the system. Other contaminants that many people breathe indoors on a regular basis include dander, fungi and chemicals. These harmful substances can also cause numerous health problems, especially among children, asthmatics and people with respiratory problems and/or allergies. Another reason why air duct cleaning is so important is that it greatly increases the energy efficiency of any HVAC system. It can also increase the lifespan of an HVAC unit, as the unit will not have to work as hard at providing heating or cooling than it would otherwise. 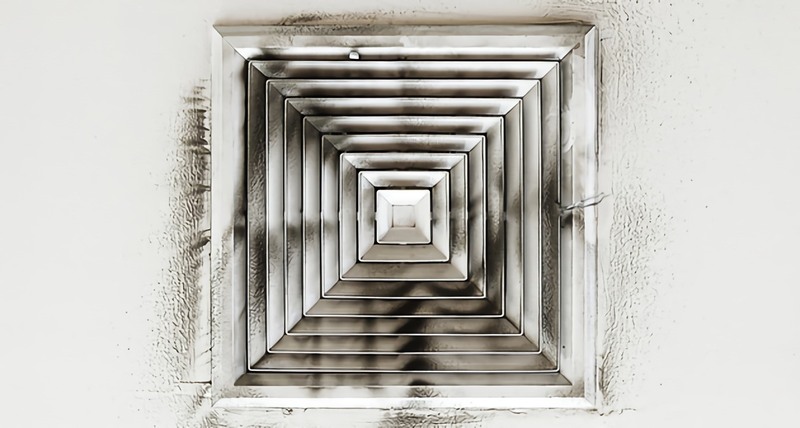 Generally speaking, air ducts should be cleaned once every three to five years. However, time is only one factor to take into consideration when determining whether or not air duct cleaning is in order. New homeowners are advised to have the air ducts of the new home cleaned if they are unsure when the ducts were last cleaned by the former owners. Pest infestation problems, the presence of one or more shedding pets in the home, and recent home remodeling work all require more frequent duct cleaning than would have otherwise been necessary. Moreover, those with respiratory problems will most likely want to clean their air ducts more often than other individuals. Additionally, NADCA (The National Air Duct Cleaners Association) notes that if air ducts look dirty, they probably are. A homeowner will want to check the ducts from time to time to ensure that they are not covered with dust, mold and/or other contaminants; however, it is not generally a good idea to clean a duct on one’s own. A certified HVAC technician who has the experience and tools should be hired to do this work. An HVAC professional who is tasked with cleaning air ducts will want to ensure that they do a thorough job. Failure to adequately clean air ducts can lead to not only illness in the home but also HVAC system failure. To start with, the HVAC technician will need to inspect the air ducts to determine if the system contains fiberglass lining, fiberglass duct board and/or asbestos-containing materials. Ducts with fiberglass must be cleaned in a different manner than ducts without fiberglass. Ducts with asbestos should only be cleaned by specially trained and equipped contractors. Next, the HVAC technician will have to ensure that the carpet and other home furnishings are protected during the cleaning. The technician may either ask the homeowner to remove certain items from the room or cover the items with a tarp. They should then use vacuum equipment that will remove particles not just from the air ducts but also from the home. Well controlled brushing will ensure that all dust, mold, fungi and other particles are completely eliminated from the system. After cleaning has been completed, the technician will need to seal and re-insulate any access holes to ensure that they are airtight. Because most people spend anywhere from 60% to 90% of their time indoors, a clean air duct system can mean the difference between regular breathing problems and sickness and good health. An HVAC professional must ensure that all air duct-cleaning jobs are done thoroughly and with the recommended materials to make sure that the system works as intended until the next cleaning. If you wish to learn more about the duties and responsibilities of an HVAC technician, visit The Refrigeration School online to find out more about HVAC education.